Timber Harvesting’s November/December issue spotlights the visionary Steve Richardson, who has turned forest landscape changes into opportunities in Arkansas while helping lead the industry to higher ground. 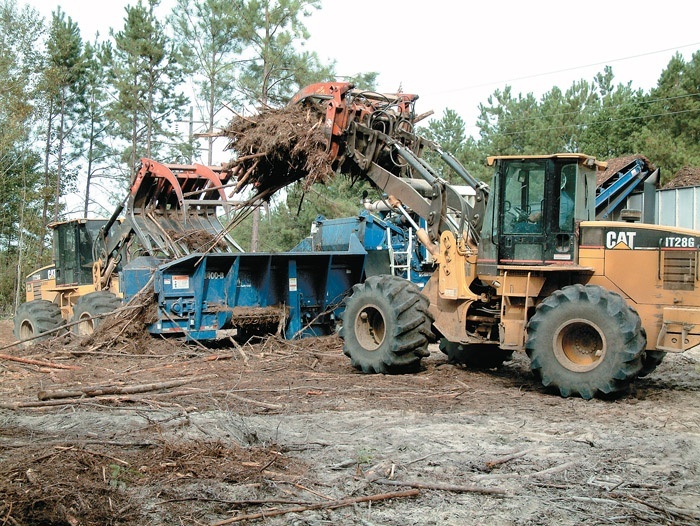 Also featured are Oregon’s Whitaker Logging, which keeps climbing mountains, and Louisiana’s Henry Rivers, owner of R&R Fuel Suppliers, where a grinder upgrade maintains production and reduces overhead for his fuel business. 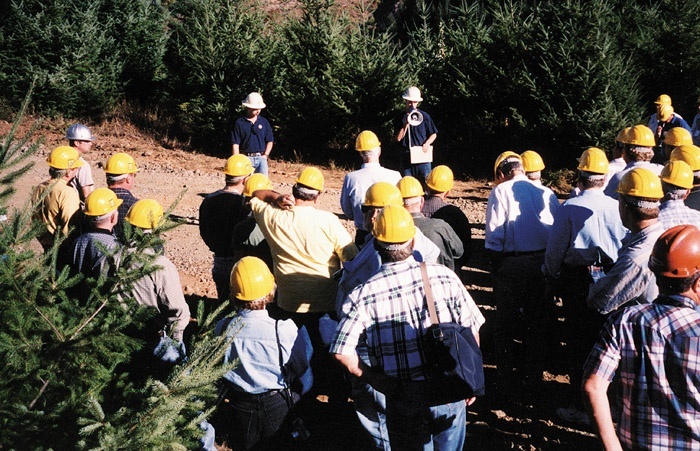 Oregon’s Gustafson Logging Co. is highlighted, since versatility and commitment are key to the firm’s growth, and a recap of the 9th annual ALC meeting is provided. Logging in southwest Oregon since the late 1950s, Don Whitaker has ridden the industry’s ups and downs and emerged as a successful survivor in what has always been an uncertain business. 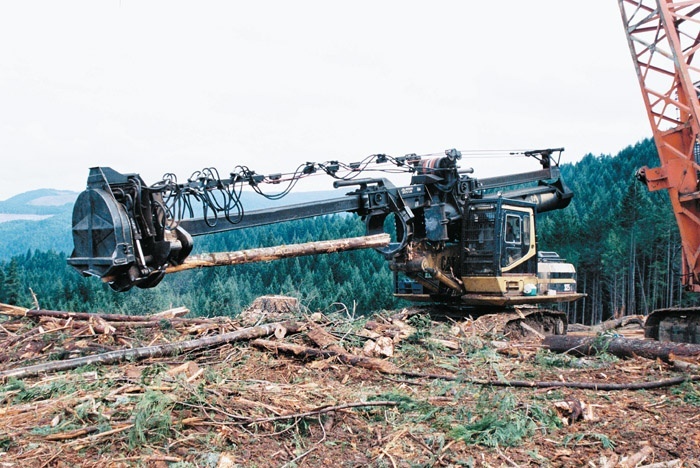 The high-lead and thinning cable logging specialist has run as many as 11 crews and struggled along with only one. Yet Whitaker now believes his company is poised nicely for the long-term in Oregon’s Umpqua River region, where Roseburg Forest Products has a huge presence and a handful of strong independent mills provide steady work for quality loggers. Ask Henry Rivers about his daily grind and he’ll go on about hammer bits, flail chain fragments and the relative size of a debris pile. It’s all part of his task of converting logging refuse to boiler fuel. Rivers, 38, owns R&R Fuel Suppliers, Inc. and cleans up behind logging crews as a contractor for Walsh Timber Co. Recycling logging slash is a fast paced spin-off from logging and is receiving more attention as mills consider alternative supplements to costly fossil boiler fuels. 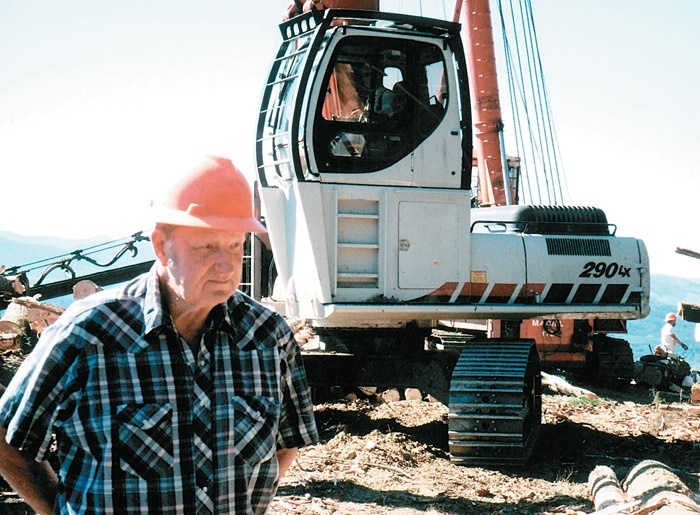 Gustafson Logging Co., founded in 1974, is owned by Duane Gustafson and his three sons, Mark, Clay and Wade. The company evolved when Longview Fibre, one of the Northwest’s leading forest products firms, was looking for a logging contractor who could do track dozer harvesting in Clatsop County, Ore. 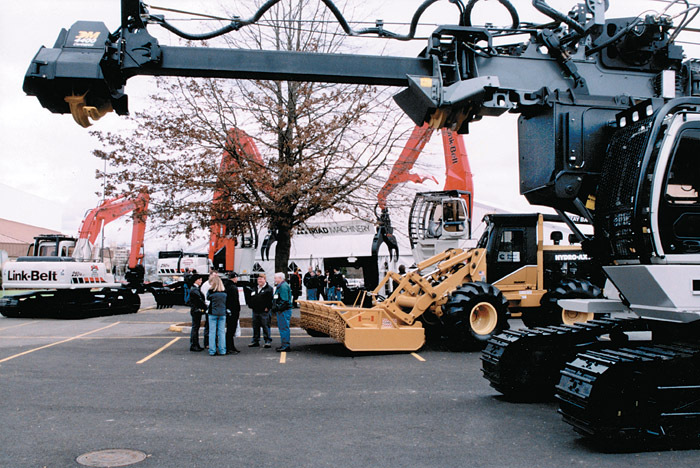 The West Coast’s two major logging and equipment shows are scheduled in February. The 66th annual Oregon Log­ging Conference (OLC) will be held in Eugene, Ore. February 25-28, preceded by the 55th annual Sierra-Cascade Log­ging Conference (SCLC) in Reno, Nev. February 12-14. The two events provide a wealth of opportunities for loggers to im­prove their professional knowledge, see the latest in equipment and technology, renew old friendships and make new acquaintances. 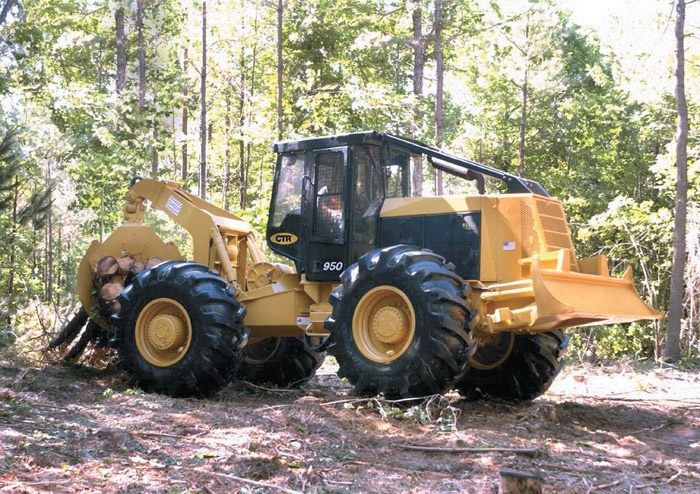 Tidewater Equipment Co.’s nine stores in Georgia, Florida and the Carolinas are now selling the Blount-made CTR skidder known as the 950, according to Tidewater President Gil Morgan. Tidewater sold the first of its 24-machine initial order October 27 to Charles Doolittle of Pomaria, SC. “We feel that Blount makes a good skidder and that we’re going to have success with it,” says Morgan. “Our people are high on it and the initial response from loggers has been good." What kind of year was 2003 for your business, what do you expect to see in 2004 and what are your plans for next year? We’ve persevered through some bad times. 2003 is going to be a good year for us; we’re having a good year. Our timber buying staff has done a good job of keeping us on good ground. It’s widely known that the folks in Arkansas are industry leaders when it comes to training and education. Arkansas Timber Producers Assn. (ATPA) has been recognized several times in the last eight years for its Ark Pro Logger Training Program. So it should be no surprise that ATPA is stepping out again—this time in the arena of equipment operator training. And once again, logger Steve Richardson, whose story appears in this issue (page 10) is in the thick of it. Response to my column (Challenging Year For SFI Program) in Timber Harvesting’s September-October issue was surprisingly strong. Loggers, foresters and association representatives contacted me. I expected some comments but not a watershed reaction. As always, it was a pleasure to hear from so many readers, and I present some of your comments with this writing. Griffiths & Beerens Pty. 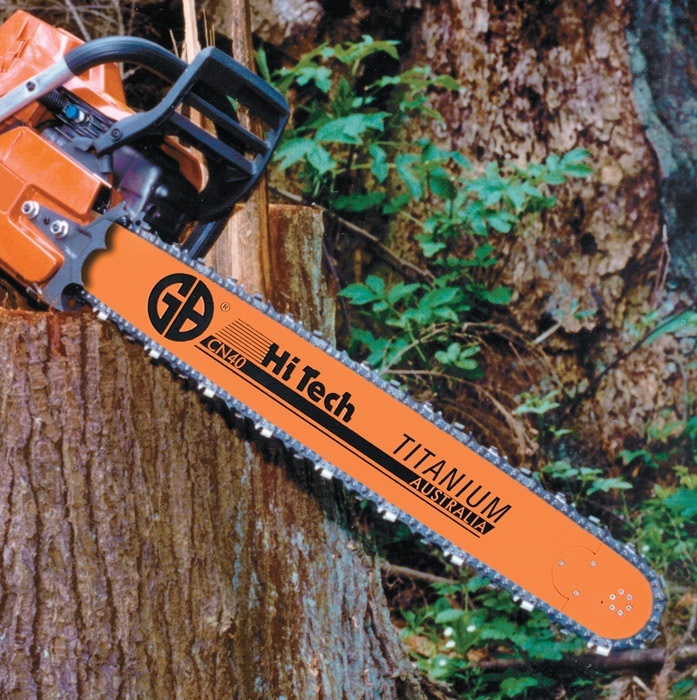 Ltd. (GB) has developed a new guide bar specifically for high-output professional chain saws. The new CN40 Titanium Pro-Top bar combines advanced materials with a special hardening process to achieve incredible durability and service life. GB cuts the bar profile, slot and holes on super-precise, computer-controlled laser cutters. Postponed by Hurricane Isabel, the 13th Carolina Log’n Demo and Forestry Show was marked by pleasant weather and good attendance. 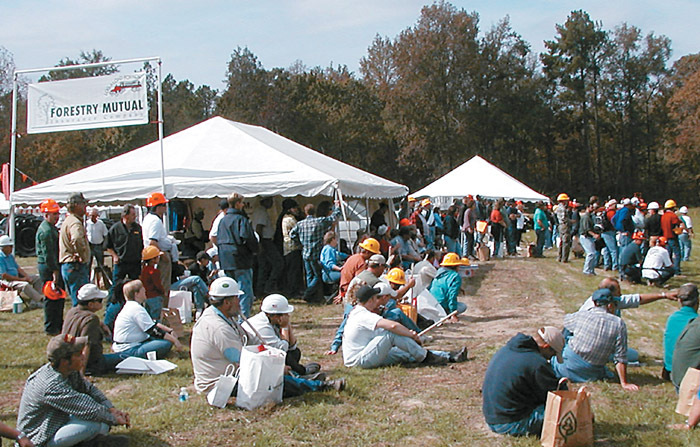 About 1,500 traveled to Vass, NC to participate October 25. “We made a conscious effort this year to have a compact event,” stated Doug Duncan, Director of Logging and Transportation for North Carolina Forestry Assn., the show sponsor.